I am contemplating ANOTHER redirection. This month has been the hardest month of 2014. At times I have felt like I am at the center of a hurricane, yet in those moments, to my surprise, I have remained grounded and calm. I have gained a deeper understanding on parts of my life that I didn’t know I needed to understand until it hit me. As a result of finding my voice, living vulnerably and facing my fears, I am at a true crossroads. My old way of being is in direct conflict with my new way of being. I am at a stale mate because I have not chosen a side. Step back? Move forward? The choice is obvious. Move forward. Yet, I’m afraid of the answer to the question I have carried with me. I posted on Facebook this past week that “Sometimes the answer is harder than the question.” That is my reflection of this moment in my life. Another goal for the year has been to surrender to life, which makes my choice to move forward even more obvious. This makes the answer to the question scarier. I know that this is exactly what I need. It’s been making itself known for sometime and I did my due diligence to make sure that what has bugged me isn’t temporary. What is the question? Or more importantly, what is the answer? I have surrendered to life, but not completely. In an uncertain world we all want to grasp on to something to know that things will be okay. Or to feel grounded by life. But to be truly grounded, one must let go, fully and completely. The answer to my question is FULL SURRENDER. 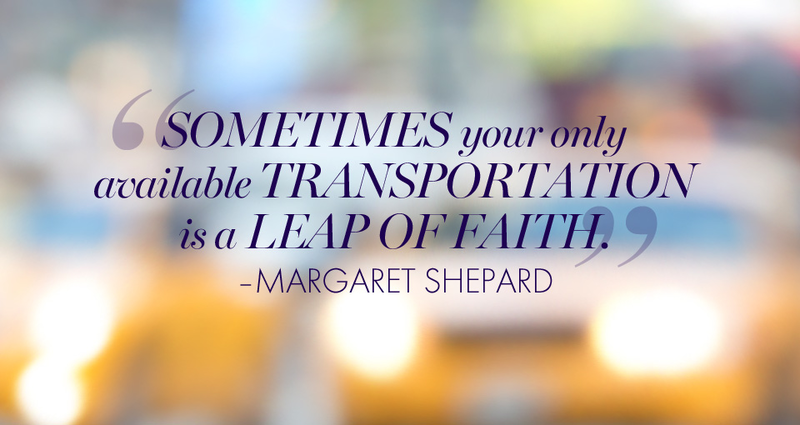 Take a leap of faith and know that someone or something will catch you. You will land on your feet. My Mindful Monday quote addresses the leap of faith that is calling my name. Indeed. A lot of people are having a hard March. The world is in a 7 universal year which is a reflective year. Last year my personal year was a 7 year which is why it had such an impact on me and changed my life. Improv has taught me to surrender, and it seems fitting that I surrender fully now, even though it scares to death. Thank you commenting. 🙂 Have a great week. I know what you mean- you’re not alone in feeling that this month was hard, a lot of us have felt it. One of the most successful women I know has been having difficulty with things as well! We must be surfing some cosmic wave right now. I know what you mean about surrender. I’m not great at it. I’m so used to being such an alpha chick, in control and taking the reins but surrendering and letting go and letting what is meant to happen happen when it needs to and not a moment before? Nooooo way. What a wonderful way to put it. Thank you:).